STARWOOD RETAIL 170 • SHOPPING CENTER BUSINESS • May 2018 Starwood relocated JC Penney to aid cir- culation at the center and allow tenants better performance. Across its portfolio in recent years, Starwood has, alongside its exhibitor tenants, invested heavily in having high quality movie theaters at its centers. Now, it has a plan to reinvest to add uses beyond retail that will further enhance — and diversify — the center's tenants. "A lot of these assets are decades old, and a lot of them have had varying levels of refurbishments and remerchandising plans over the years," says Zeigler. "What we are looking to do is go beyond the Band-Aid approach and add uses the communities need like medical office, residential and office space along with the remerchandising of the food, bever- age, entertainment and retail space." Cities are working with Starwood to re- develop properties because they want to expand their tax base while making sure the centers continue to serve the market, while creating a new sense of place for their residents. As word gets out, Star- wood is getting calls from multifamily and hotel developers, as well as the co-work- ing firms and even large office tenants. "What everyone is realizing is that you get a premium because of all the ameni- ties a regional mall offers, whether you are building office, hotel or multifamily space," says Carl Tash, chief strategist for Starwood. "These developers know it does not cost any more to build at a mall property versus a half mile away, but they know that tenants, renters and guests want to be there because they can walk out and have lunch and have other con- venient amenities within close walking distance. The synergy works very well." Starwood's centers perform comfort- ably and are considered as Class A cen- ters in the industry. While there may be no reason to think that the centers are performing poorly, Glimcher says the firm will not wait for cracks to appear before making changes. "Each of our assets are performing, on average, at $250 million per year in sales," says Glimcher. "We have a great portfolio that runs very well." The company has been successful at planning renovations and additions around income-producing activities, such as adding junior boxes or new retailers to a center. This allows Starwood to offset renovation and expansion costs with new revenue. FOCUSING ON THE COMMUNITY Looking at each center individually has allowed Starwood to focus on the strengths of each. At Westland Mall in Hi- aleah, Florida, the center focuses heavily on the activities of the area's Cuban-Amer- ican population in the immediate trade area. The center's demographics show that three generations of Cuban-Amer- icans living in the area shop the center, and it has become a focal point of the community. This loyal customer base, in turn, has allowed the mall to enjoy above industry averages sales performance. "We have worked really hard to incor- porate our field teams into our strategy; the feedback our onsite management and operations directors give is critical to our leasing," says Glimcher. "We also love working with local brokers because they know the communities very well. We encourage our mall teams to develop rela- Blue Black Square in West Hartford, Connecticut, is a mixed-use property that Starwood Retail Partners acquired. 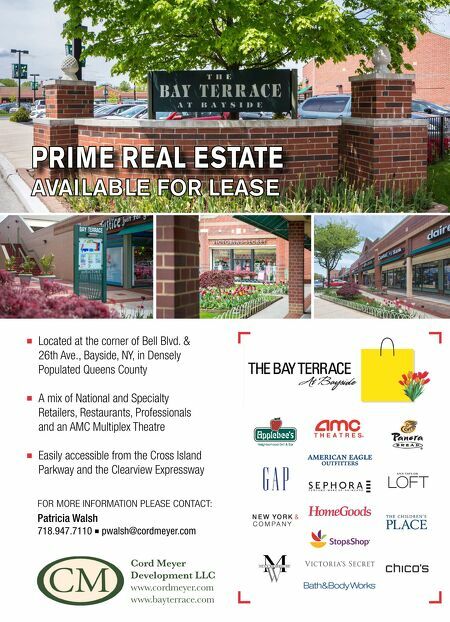 The property combines retail with residential, hotel and office space. Blue Black Square features retailers and restaurants including Barnes & Noble, Crate & Barrel, Cinépolis, Fleming's Prime Steakhouse, Bar Louie, REI, The Cheesecake Factory, West Elm and World of Beer.